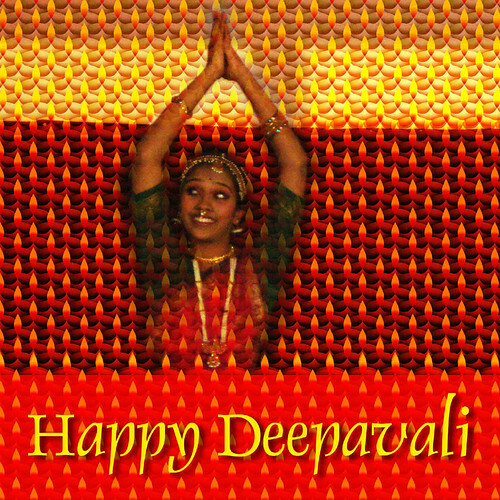 We wish all our friends Happy Deepavali, especially those who constantly struggle to fight darkness of that desires., originally uploaded by *abro*. Deepavali, the 'Festival of Lights' is symbolic of 'victory of good over evil, of light over darkness'. It is also the victory of peace over conflicts and wars. Darkness symbolizes ignorance and all other negative forces and feelings. So celebrating Diwali with lights dispels ignorance and all negative aspects of life, at least symbolically. That means we have to strive hard to drive away all negative forces and enrich our lives with everything positive. Let us celebrate the 'Festival of Lights' and try to build better lives for ourselves and all others!